A traditional Buddhist sculpture combines with a modern fountain system to create a lovely watery feature that is truly one of a kind. This impressive fountain shows the Buddha sitting in a lotus position clutching a crystal ball that glows when it is turned on. An ornamental pedestal base completes the look of the water feature. 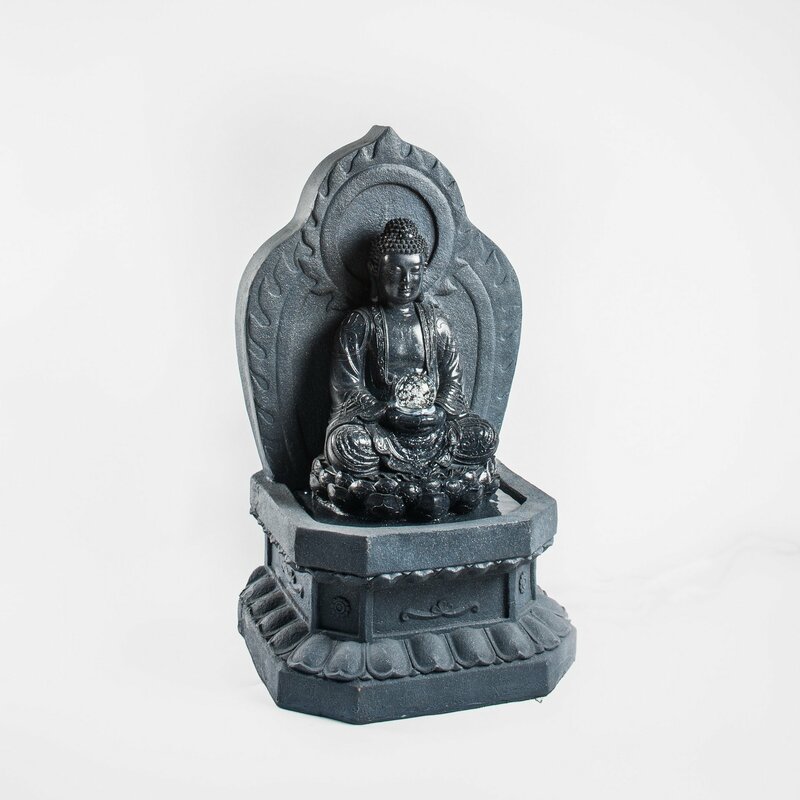 This water feature is 79cm tall and has a buddha sitting on a pedistal with a glass spinning ball in his hands. The buddha has a terrazzo-like finish and the pedistal has a rougher stone-like finish and carvings. There are three LED lights. The Sitting Buddha with Ball comes with the pump and LED lights.